For Sale in Scawthorpe for Asking Price £150,000. Two building plots remaining at 150,000 each! 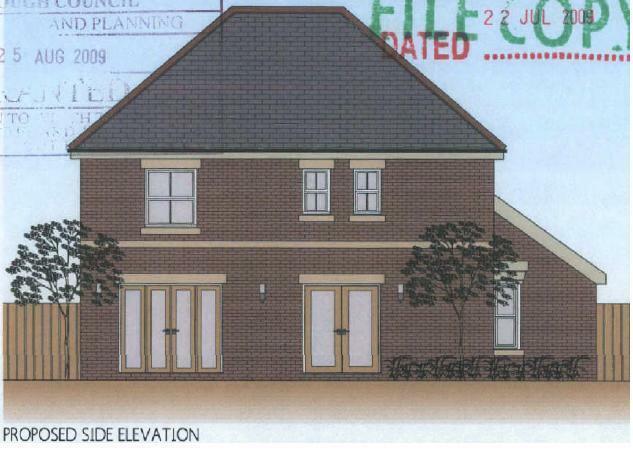 Both with planning permission for executive four bedroom houses with a double garage! They would make an ideal self-build or would be suitable for an investor. Located in Scawthorpe near to the junction of Jossey Lane and Mayfields, directly off York Road (A638) and in a select development of just six detached houses known as Kingsbury Court. Scawthorpe is located around five miles from Doncaster town centre, with schooling and other facilities close by, the location is ideal for access to the major road networks. So if you're looking to build your dream home give us a call for more information! The building plot forms part of a wider site which is screened from the main road by way of a stone wall. The appearance of all the approved house types are aesthetically pleasing and of the highest design standards. All the plots are generous in size, offering family homes of good sized accommodation. Planning Permission was for the erection of 6 dwellings on the site in 2009 (Doncaster Council Planning Reference: 09/01157/FUL). An application in 2014 (Planning Reference: 14/01996/FUL) was approved on the site for a substitution of house type on Plot 5. Interested parties should make their own seperate enquiries to Doncaster Council. Freehold with vacant possession on completion. The responsibility of maintaining the access road serving the 6 dwellings will be split between all properties. Accompanied viewing from the site boundary is not essential, however please contact the office on 01302 510 140 if you wish to enter the site. Should additional information be required, please do not hesitate to contact our office on 01302 510 140.